Vensa Health, a leading New Zealand digital health company, has boosted its team to support its digital health vision to make primary healthcare more accessible, affordable and convenient via its vensa.com platform which offers a new delivery model for healthcare. Samuel Wong has been appointed as VP Product Innovation, Oliver Young as VP Finance & Strategy and US-based Dr Jason Hwang as a global adviser. 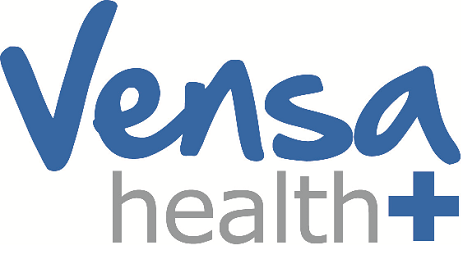 Vensa first demonstrated the success of its innovative technology with TXT2Remind which is used by around 65% of GP practices in NewZealand to deliver health messages and appointments to over 3 million Kiwis a year. Over the past decade more than 50 million messages have been delivered via TXT2Remind. Vensa’s innovative new platform vensa.com,which saw the company win New Zealand’s top Health IT Innovation award last year, is further helping to reduce inefficiencies in healthcare delivery,improve access, reduce costs, and make medicine more personalised and precise. Wong and Young will join a 20 strong team at Vensa’sAuckland-based headquarters. Wong graduated with a BSc in Biomedical Sciences and a PGDipSci in Medical Sciences from the University of Auckland and a Stanford LEAD: Corporate Innovation Certificate from Stanford Graduate School of Business Executive Education. Wong has over 15 years’ experience in the New Zealand health sector and was previously the Senior Clinical and Business Analyst at St John New Zealand. He has also held roles at Procare Health, Auckland District Health Board and Statistics New Zealand and was the founder of health start up AuxiMedic Limited. Young holds a Degree Name Bachelor of Commerce & Administration from Victoria University of Wellington and is a CPA Australia member. Young joined from Frank Accounting.Prior to that he was a Consulting CEO for VCFO Group and the CFO of Fairtrade Australia & New Zealand. Dr Hwang, who gained a MD from University of Michigan Medical School and an MBA from Harvard Business School, will also act as Principal Investigator on Vensa Health’s first research initiative with Precision Driven Health (PDH) to automate the retrieval of millions of lab test results from patient management systems (PMS) and other sources, and analyse results patterns for patient notifications on vensa.com. Dr Hwang says, “There is great value to be gained from using technology to automate and analyse lab results and deliver alerts to patients accurately,inexpensively and in a timely matter."